Fresh off the Kentucky Court of Appeals’ ruling in favor of the tax collection methods of the local libraries (full story here), the Campbell County Library announced a new, exciting program to make books even more accessible to the Northern Kentucky residents: Little Libraries. You may have already seen these Little Libraries and, perhaps, did not even know what you were seeing (one such “Little Library” is on West Southgate currently). These Little Libraries are boxes built by the Library and large enough to hold around 10 books. These “Libraries” were then sold to community members for $10 who were asked to decorate these for placement around the community. The decorated Little Libraries will be displayed at the “BIG Kickoff for Little Libraries” community event at 6 p.m. on Friday April 17th. 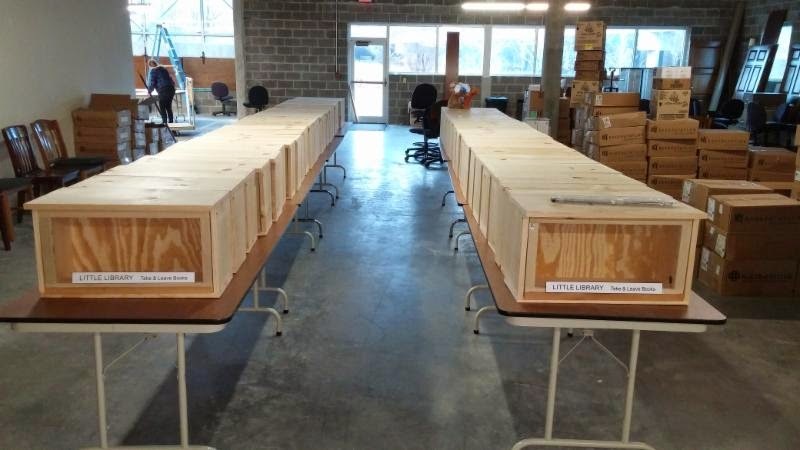 In addition, a design winner will be selected from amongst these Little Libraries by a panel of judges led by Steve Pendery, County Judge/Executive, with a First prize of $50 and second prize of $25. "We want to promote the love of reading, so supporting Little Libraries is a natural fit for us," said JC Morgan, director of the Campbell County Public Library. "We see a lot of benefits to this program," Morgan said. "It is a great way to promote literacy in the county and enhance communities through interaction among neighbors and book discussions." Currently, Little Libraries are available in Southgate, Bellevue, Dayton, Fort Thomas, and Newport but residents of other cities are encouraged to discuss with their city council to see if the program could work there as well. 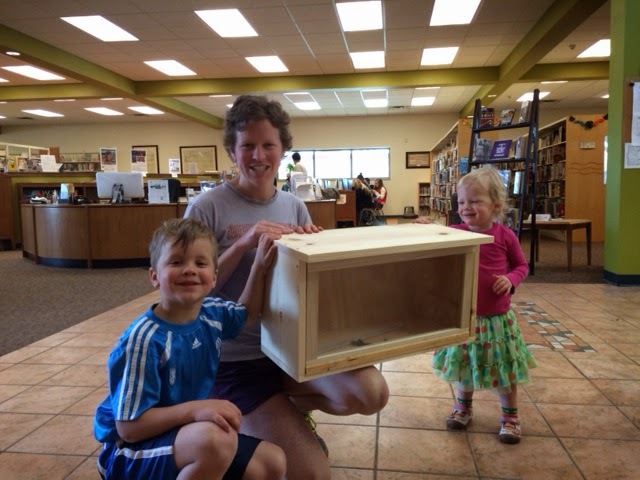 The Campbell County Public Library built 40 Little Library boxes that were made available for $10. The concept of these library boxes is quite simple. A starter kit of 10 free books will be provided by the Friends of the Campbell County Library. Residents are encouraged to grab a book and replace it with a book they’re finished reading. If books need replenished, the Campbell County Library can provide another starter bag to fill the box back up. Such a neat concept to promote literacy and lifelong reading. Anyone involved in decorating one of these Little Libraries, share your design concept in the comments. To see all the decorated Little Libraries, stop by the Newport Branch on Friday April 17th at 6 p.m. The Reading Rocket is actually on West Southgate near Memorial Parkway.